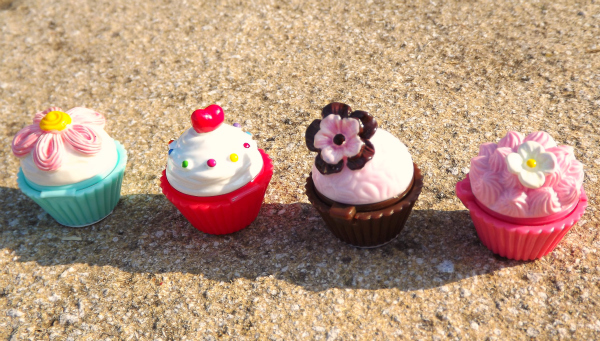 I do love a bit of kitsch and I do love cupcakes, so when Ben got me these little beauties filled with lip balm, I was over the moon. How very cute are they? I’ve had them for quite a while and didn’t really use them, but now that the sun is finally out to play, I felt that some colour was needed and they do taste like summer. Those are so adorable! I have cupcake shaped everything (or print).